An unfortunate problem with working for yourself is dealing with clients who are unable or unwilling to pay for your work. While itâ€™s impossible to become immune to non-payment, you can position yourself to be more likely to get paid and less likely to have to collect on bad debts. Be sure you explain the vital sections of your contract and take time to answers any questions or concerns the client has. This will help get you on the same page in terms of payment and there will be less chance of big surprises later. Pay attention to signals or potential red flags when it comes time to enter into an agreement with a new client. Do they seem non-committal when you discuss payment? Are they unwilling to sign your contract? Listen to your gut. The best case for non-payment is that you will have a discussion directly with the client, they will acknowledge the debt and agree to pay. It may be a situation of financial hardship, and you may want to consider allowing the client to pay on a mutually agreeable payment plan. In most cases, you will be able to reach some kind of agreement with the client as most clients want to pay, they may just be unable. However, I would suggest you cease all work while you are negotiating payment on an unpaid account. Have a Third-Party Make Contact â€“ This can be another representative from your company, an investigator, or someone else who can express the severity of the situation to entice action. Hire an Attorney â€“ Sometimes just the threat of legal action in the form of a letter from an attorney will be enough to generate payment. 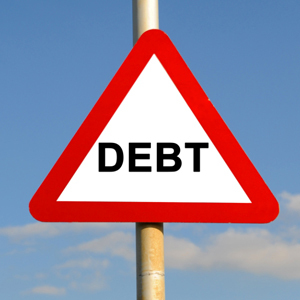 Hire a Collection Agency â€“ If the debt is significant enough, this may a good option for getting payment. Keep in mind that there are all kind of collection agencies, and youâ€™ll want to choose one that uses tactics you agree with. Have you faced non-payment by a client? What did you do to collect?